Since its introduction in 2004, the Nike Free line has been the closest thing a runner has to running barefoot and the 2019 edition of the Free 3.0 sees a return to its roots. The new 3.0 is 1mm lower to the ground than its 2018 predecessor, giving runners a greater connection to the Earth beneath us. In addition, a huge plus in this year’s iteration is its last, which is shaped to the anatomy of a foot, giving runners a more naturally-shaped silhouette to run in. Upon wearing it, the most apparent element was its second-skin feel, staying tight to the foot and reducing any foot sliding within the shoe. The uppers, made from lace-less Nike Flyknit, stretches appropriate with every step you take. As expected, the midsoles are firm – as intended for lower-mileage runs – while the outsoles are flexible to the bend thanks to the mapping of sipes of various depths. These sipes are also found along the top of the midoles to help increase dorsi and plantar flex movement. In practice, as a user of typical running shoes, the Free 3.0s provided a new sense of flexibility for the foot, allowing for a more natural stride. After my first run in them, I am very likely to include it in my routines for shorter runs (2-3km) and light outdoor workouts. I personally never realised how restrictive traditional soles were until I tried on the Free 3.0 and took it for a run. The change was pretty significant and the usual soreness I used to feel in the arch of my foot didn’t show up. As someone who is also really prone to blisters due to my feet shifting in position within a shoe, the Free 3.0 alleviated any opportunity for that due to its structure. While most traditional shoes take on a more tapered-front construction, the 2019 Free 3.0 tapers towards the heel, akin to the shape on an actual foot. Another surprising quality of the shoe was the grippiness of its soles. My run was on rather wet ground and the shoes had no signs of slipping, with every step as firm as the next. My initial skepticism regarding the lace-less design was also quickly evaporated as the secondary lock-down overlay across the upper kept my feet snug and comfortable. 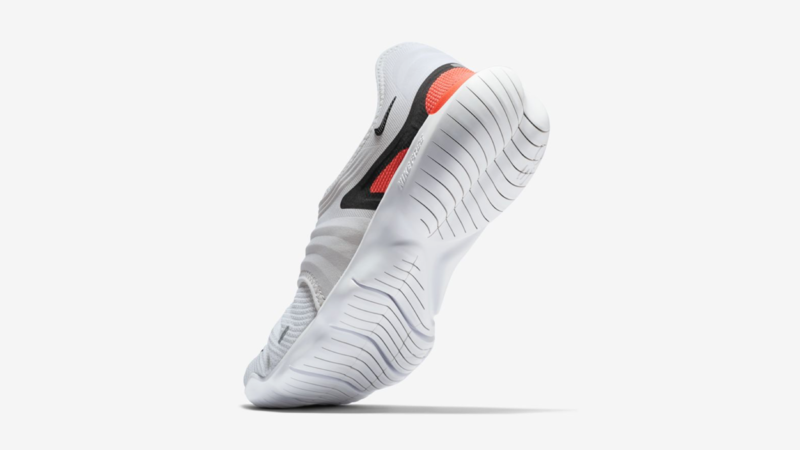 At first glance, the shoe may also take some aback by its unique look, but it is simply a testament to Nike’s stand on creating a shoe perfect for a barefoot running experience. If you prefer a less snug fit when it comes to running footwear or prefer to wear thicker socks, a half to full size up should be worth considering. If you’re unsure about your size, fret not as Nike.com lets you return your kicks for any reason, even after you’ve taken them on a trial run, within 30 days of delivery. The Nike Free RN 3.0 is already available alongside the newly-released Free RN 5.0 on Nike.com for both Men and Women.